By now everyone knows that Zelda: Breath of the Wild on the Nintendo Switch is a unique achievement, but how does the Wii U version of the game measure up? The latest video from Digital Foundry explains. 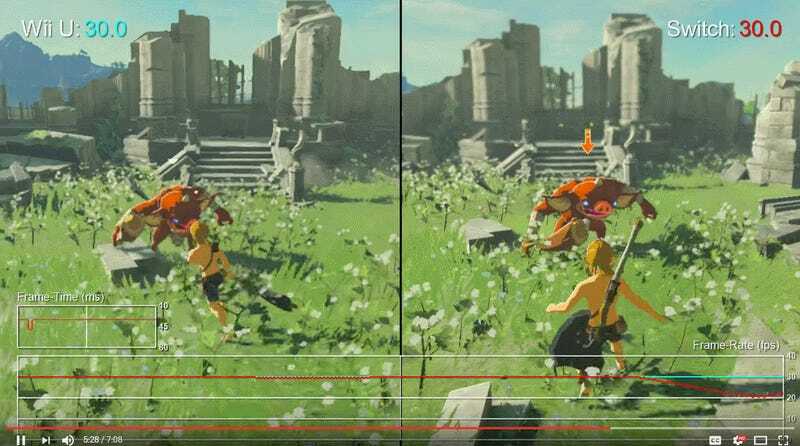 While Zelda: Breath of the Wild on both the Wii U and the Nintendo Switch appear to be mostly on par with one another, there are some differences when it comes to framerates. The video comparison, which deals exclusively with the first hour of the game so as to avoid spoilers, shows both the benefits and trade-offs associated with the two versions. In docked mode, the Switch outputs the game at 900p compared to the Wii U’s 720p. On both systems the game is set to hard-lock at 20fps when it drops from its normal 30fps, but it doesn’t appear like one consistently outperforms the other. Instead, the Wii U framerate would drop in certain locations that the Switch handled fine, and vice versa for the Switch. On one part of a hill, the Switch was able to maintain 30fps while the Wii U struggled, but in some ruins the situation was flipped. Digital Foundry hypothesizes that this is due to a “hidden bottleneck” and could suggest that the game’s open world is partitioned differently on both platforms. The bottom line then is that the framerate performance isn’t necessarily better for either the Wii U or docked Switch, just different. Of course, the rub comes in that when not docked, the Switch outputs in 720p, the same as Wii U, but with noticeably fewer framerate hiccups. At the higher 900p resolution when docked, the Switch version does look slightly better. “It improves the appearance of distant objects, moving transparencies like grass, and cuts down on pixel crawl on geometric edges,” Digital Foundry reported. Textures are also filtered at a slightly longer distance in the Switch version. And as far as audio comparisons go, while the Switch version has better sound sampling due to its higher memory, Digital Foundry concluded that the differences weren’t very noticeable. 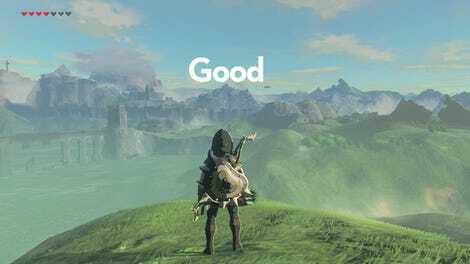 As a result, there doesn’t seem to be too much of a discrepancy between the Wii U and Switch versions of Breath of the Wild. If you want to play the game mostly on your TV at a higher resolution, the Switch version offers some slight advantages but also suffers from many of the same framerate issues as the Wii U version. And if you want fewer framerate drops, then you’ll have to play the game on the un-docked Switch outputting at a lower resolution anyway (although on the Switch’s screen the pixel density will be higher, making the image look more crisp). But Digital Foundry only looked at the first section of the game, so there could be more strike differences in some of Breath of the Wild’s later, more visually demanding sequences.